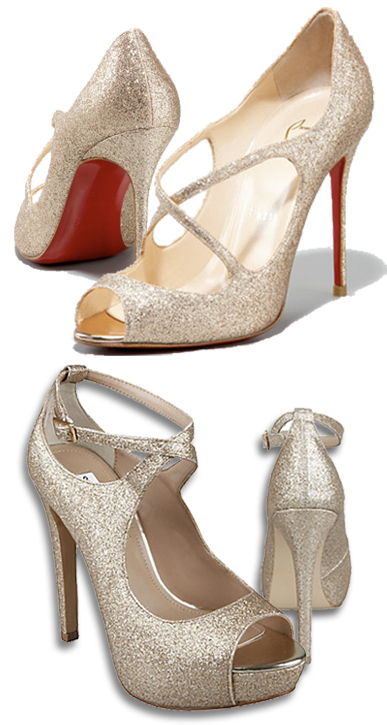 We love these Christian Louboutin gold glitter open-toe pumps. They are the perfect shoe for any special occasion, especially New Year's! However, if you don't have an extra $795 to spend, these Steve Maddens are virtually the same for just a fraction of the price! !